Are you a movie lover about science fiction? You’ve probably seen the Transformers series in the US, right? The series of robots in this film left us impressed by the intelligence, powerful martial arts, and the most advanced weapons. 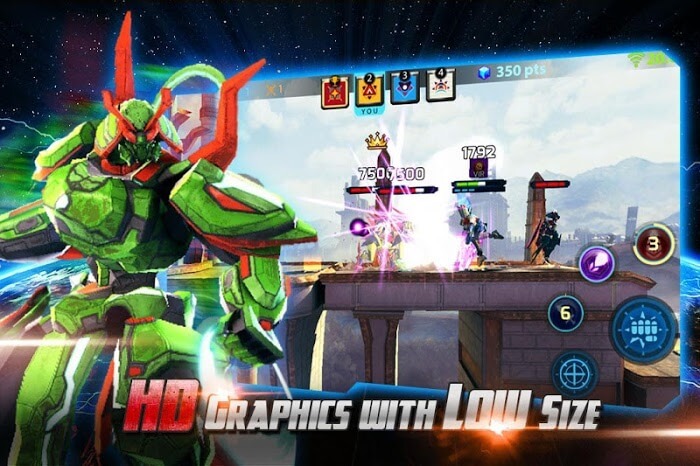 Have you ever wanted to be a robot hero like Optimus Prime with great leadership and military strength? Let Metal Brave Arena 76 meet your dreams! This game is part immersive, built on the science fiction robot theme, you will definitely get many new experiences when joining this game. The story takes place on the planet Brave of the giant robot. Over the past 1000 years, when the Decepticons collapsed, Optimus Prime left Cybertron and enlightened the planet Brave and developed it into the habitat of cognitive robots. The robots here are born and raised and are associated with a sense of peace and good moral quality imparted by Optimus. Now, the Decepticons are slowly emerging, and they realize that the Brave planet must be destroyed to dominate the universe. Lead a robotic army and kill the bad guys! 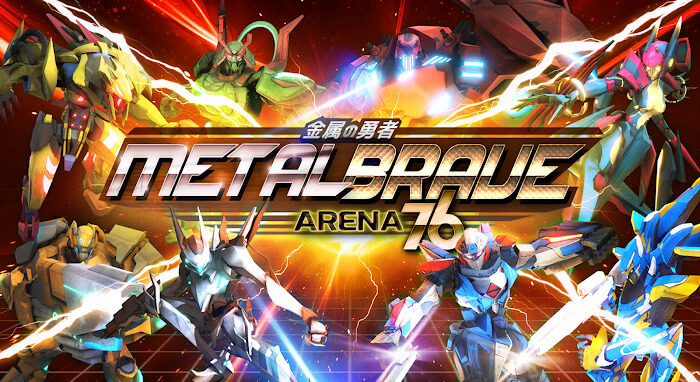 Coming to Metal Brave Arena 76, players are transformed into powerful robot heroes and carry the task of protecting the planet’s peace. 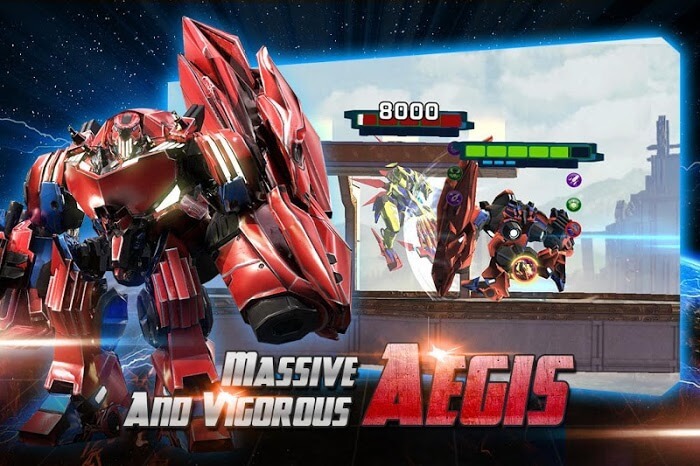 Initially, you are provided with a default robot, in the process of performing the task or completing the activities in the game, you will have the opportunity to receive more new characters. Also, the game offers a wide range of equipment and accessories, and you can upgrade and develop your robot’s strength with the latest weapons. In addition, each type of robot has unique skills for the player to use. 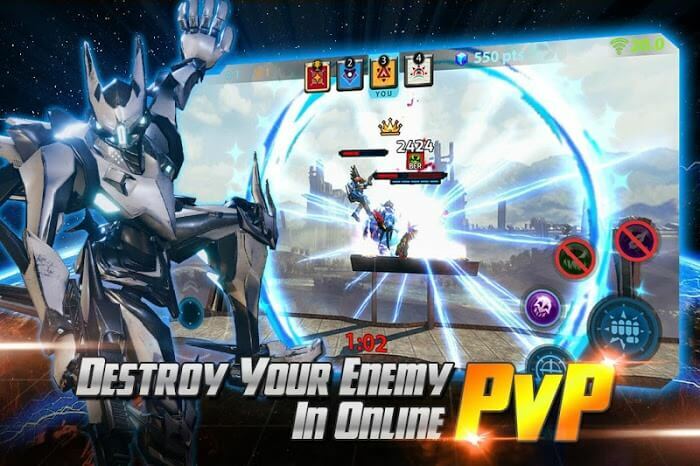 The game has two main modes: overrun mode and PvP arena. The mode is designed according to the plot, you will have to pass through each door one with significant challenges before encountering the last boss. You can also fight with other players and show off your leadership skills.